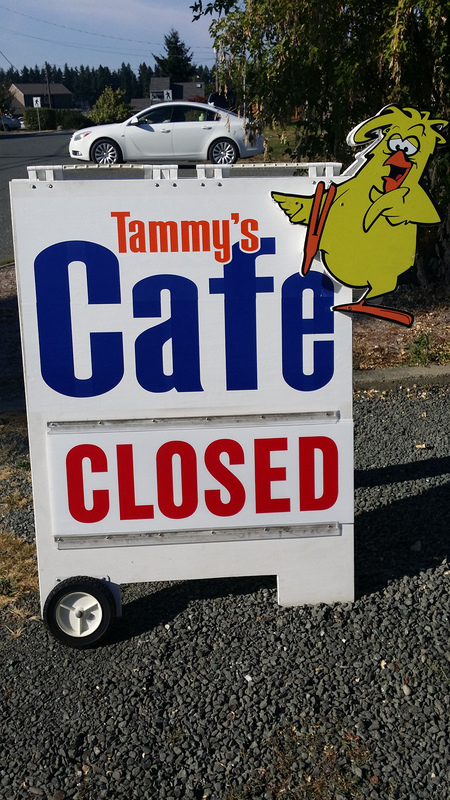 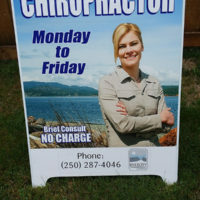 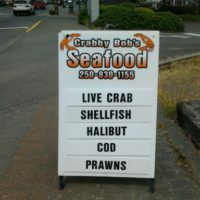 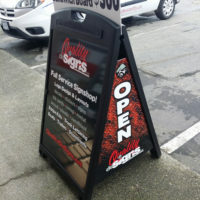 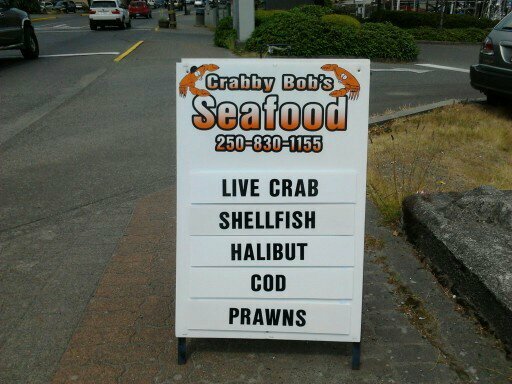 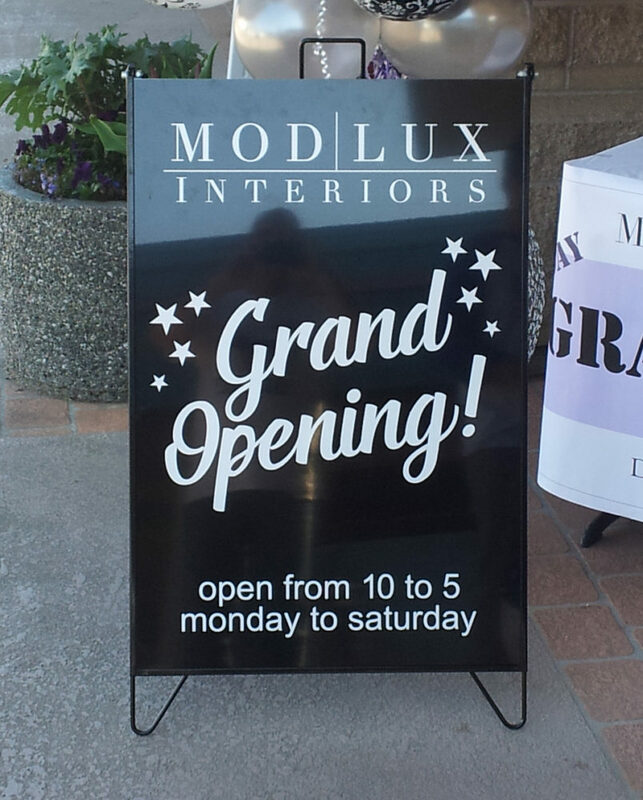 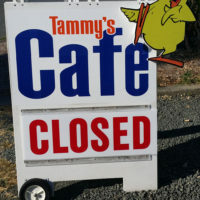 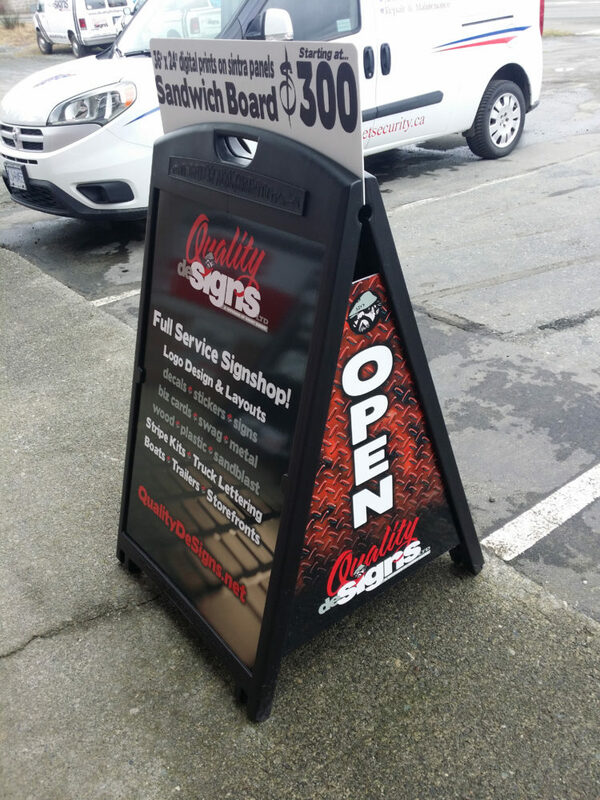 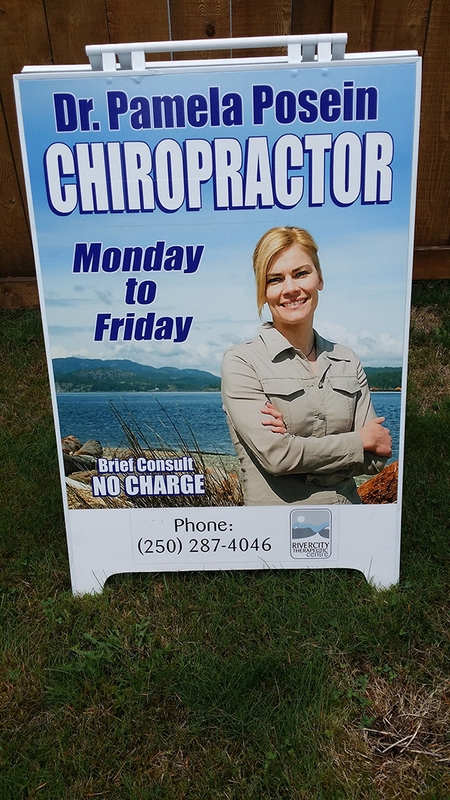 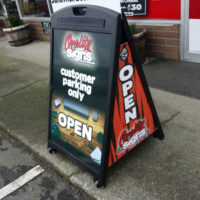 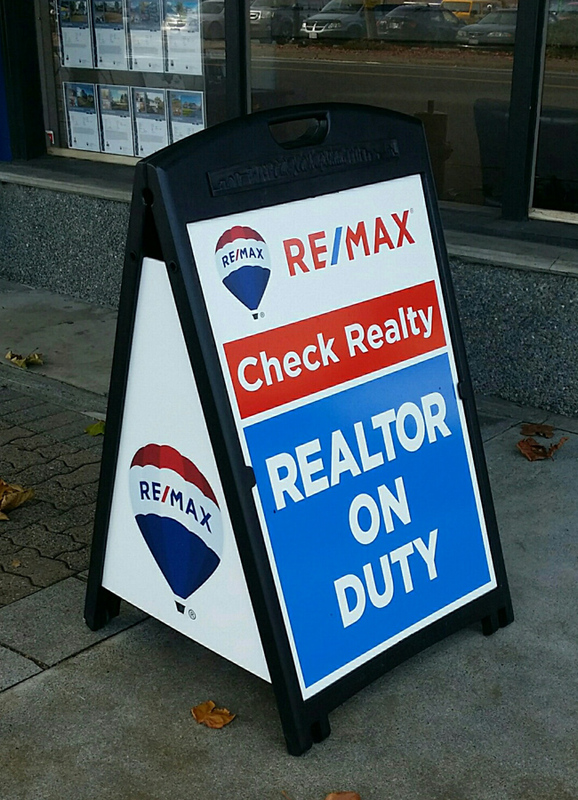 Versatile and affordable, sandwich boards are a great way to grab attention. 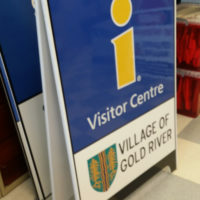 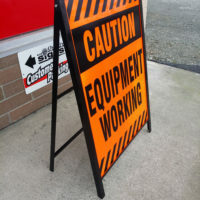 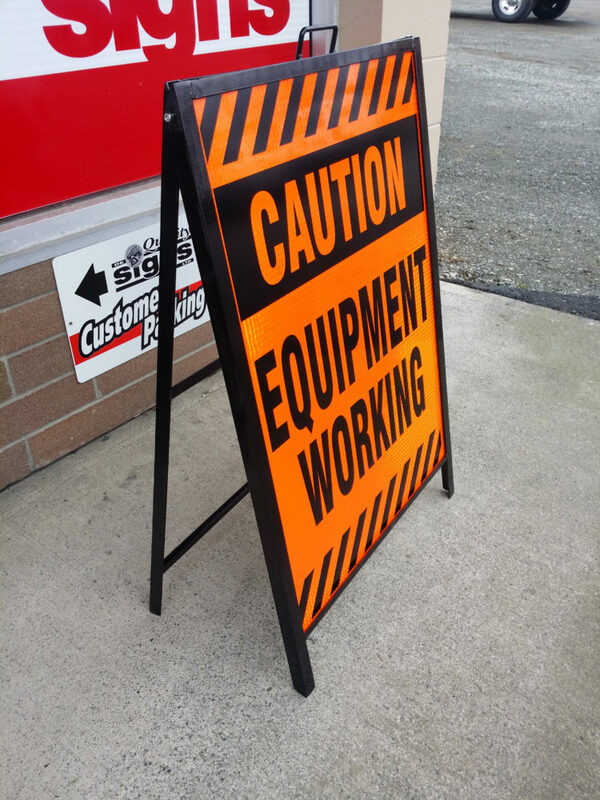 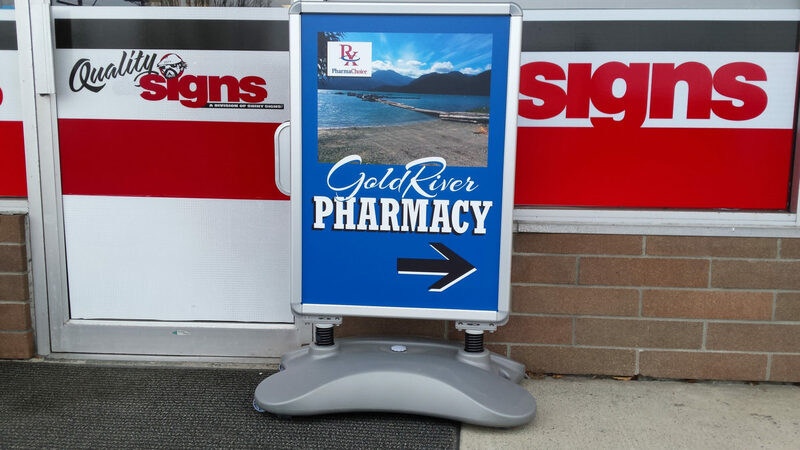 We have a lot of sandwich board options to choose from including different frames and substrates for sandwich board inserts. 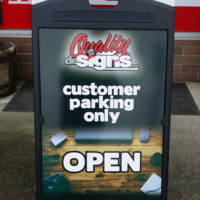 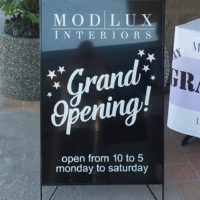 Adding custom details is something we love doing to help your sign stand out even more. 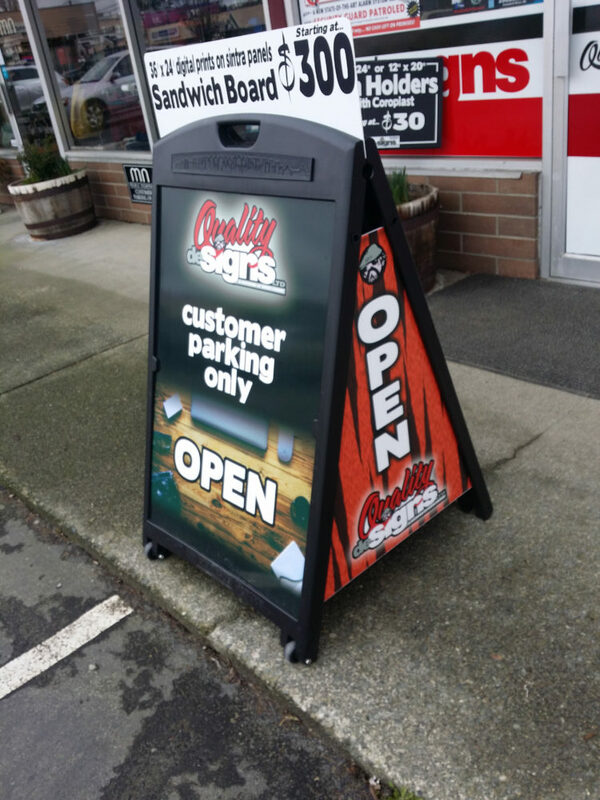 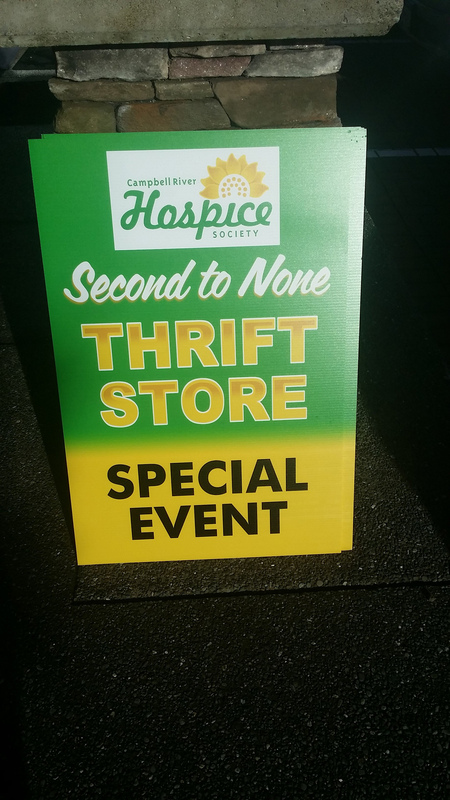 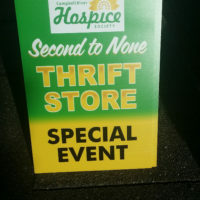 Stop by and ask us about all the options available and see the sandwich board sign samples we have in our store. 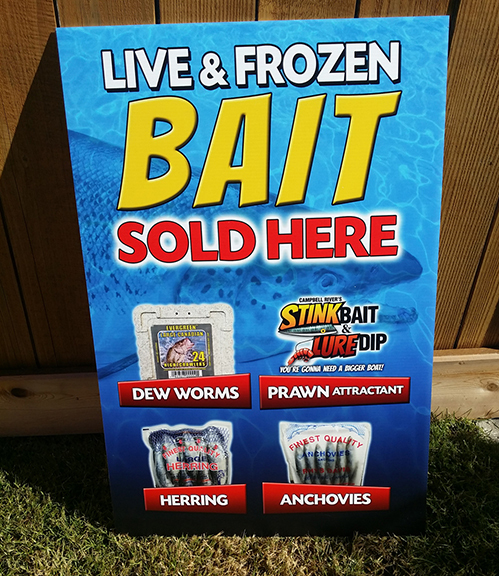 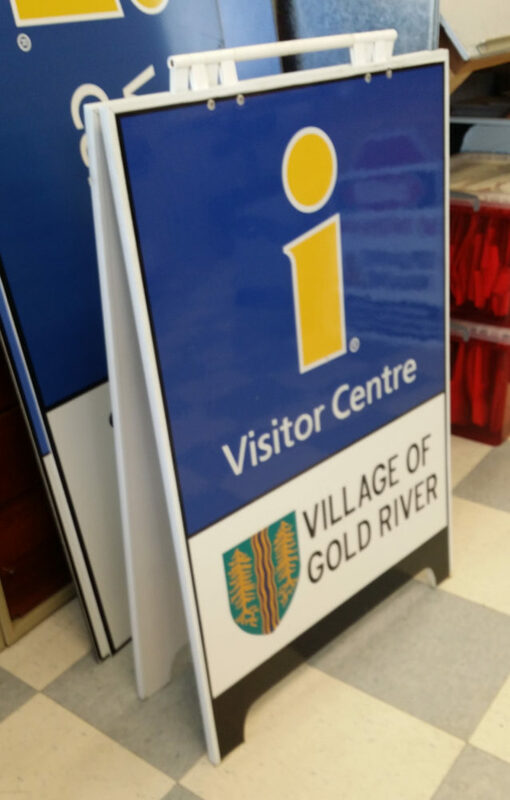 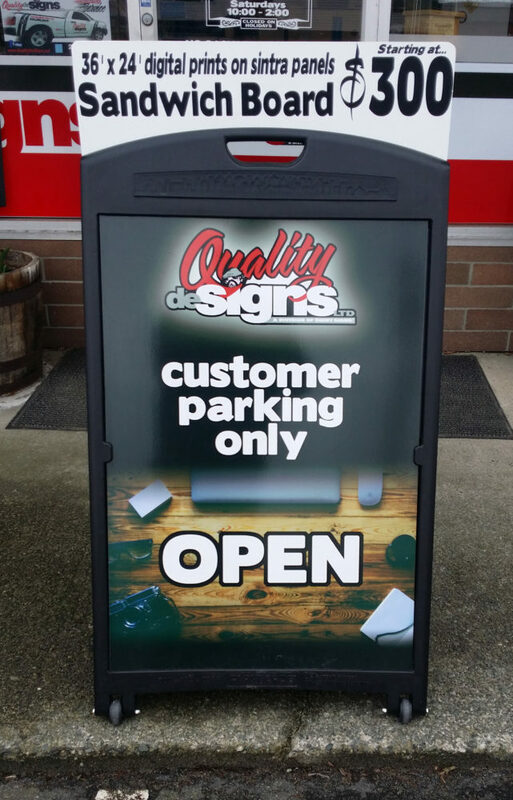 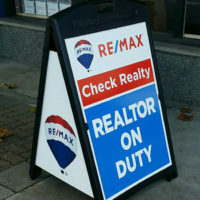 Digital prints and cut vinyl lettering can be used on our sandwich boards. 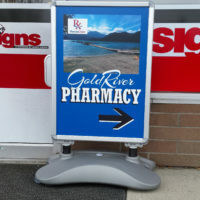 Frames are available in metal and plastic with and without weight options. 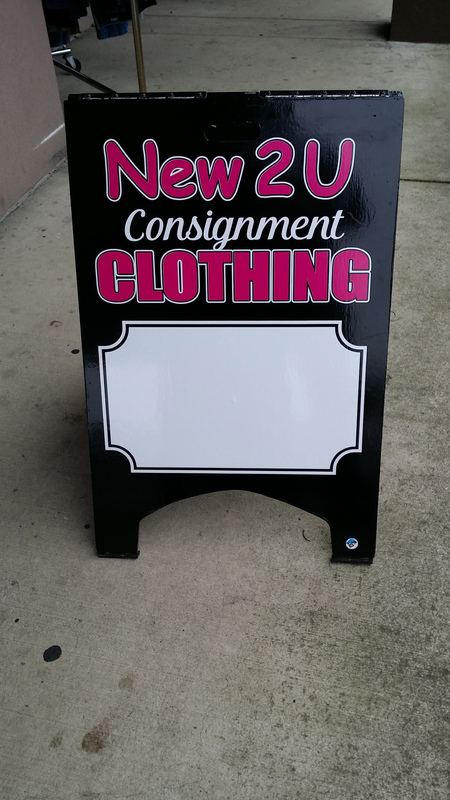 We carry sandwich board frames that have removable inserts, allowing you to change your message whenever you want. 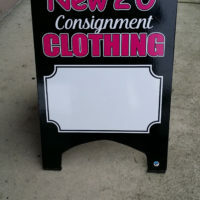 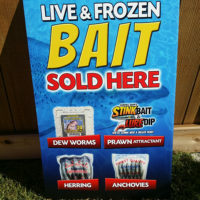 Customize any sandwich board design with rails for interchangeable lettering and anything else you can imagine.